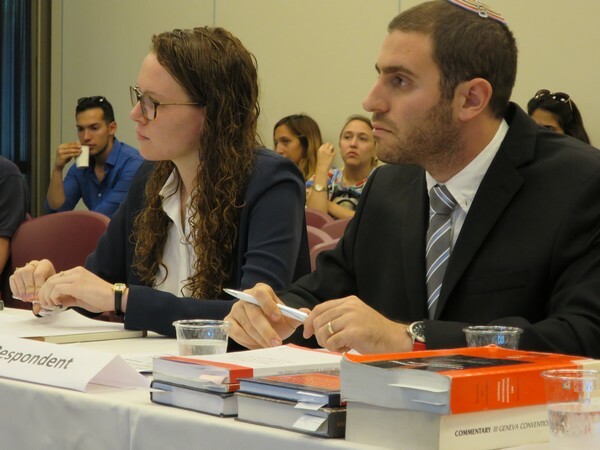 We are pleased to announce the 2017 Israeli National IHL Competition, which will take place for the 11th time, in Jerusalem from Monday 23.10 until Thursday 26.10. Join us for the final! This year, there will be 12 teams with 36 students from seven leading academic institutions. The competition is part of ICRC’s cooperation with academic institutions, to promote awareness and understanding of International Humanitarian Law (IHL). It is organized with the assistance of the Association for Promoting International Humanitarian Law (ALMA). Last year, the winners of the national competition were Naomi Kalvo-Lax, Or Malki and Amit Haim from Hebrew University of Jerusalem. The international competition, the Jean-Pictet competition, will take place this year from Saturday 24 March to Saturday 31 March 2018, in Ohrid (Former Yugoslav Republic of Macedonia). Join us for the final stage of the competition, which will be held on Thursday, 26 October at 16:45, at Konrad Adenauer Conference Center, at Mishkenot Sha’ananim in Jerusalem. If you are interested in attending, please register by email to morkin@icrc.org.